Kuprut Bloodlines Panic, one awesome American Bully! 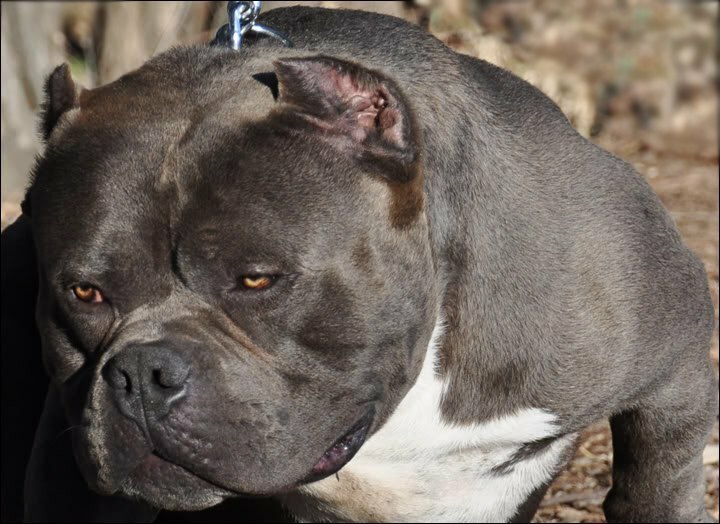 The Kurput Bloodline is known for producing some freakish American Bullies. One of the most extreme dogs in this bloodline is known as Panic (Commonly known as Kurupt blood panic). Panic has an incredible 27 inch head! There is basically only word to describe this awesome American Bully, FREAK. Freak is a popular term among this newer breed of dogs. These bullies look far from the ancestors of 100 years ago when breeders bred pit bulls as fighters. These dogs have almost tripled in size, are dog friendly, and make for awesome family pets. While American Bullies are very lovable by nature, proper socialization is still required with these dogs as well as all dog breeds. While this line of American bullies is easy to train and naturally dog friendly, they can still make for a great protection dog. If you love this style of pit bull and are looking for something that has more drive, they’re are lines of dogs that have it. One line of American Bullies that have kept the true APBT temperament and drive is a line of dogs known as Remyline. These dogs are not as freakish as gottiline, or kurupt blood, however they have an extremely high energy level and would be a great do to train for protection work, or weight pulling. Remy line was founded by Fabian Chichester and is based off of his Razor’s Edge dog ( Lowjack’s Remy Martin). He was born in April of 2003 and produced at Ruckus Kennels. Fabian bought Remy Martin for $500 and a treadmill when he was six weeks old. In 2004 Fabian bred his stud Remy (as he is simply referred to as) to his female American Pit Bull Terrier named Bella. Little did he know, that would be the beginning of a brand new, and soon to be famous, line of American Bullies. These bullies he would later coin as Remyline. As Remy matured, Fabian realized that he had a very special stud. Remy Martin had a look of his own, and his structure was right on point. He was blue fawn in color, thick, heavy bone structure, a magnificent head piece, and a profile stare that said one bad looking boy. People in the rapidly growing American Bully community fell in love with this stud. It wasn’t too long before Fabian was approached with requests to use Remy as a stud for a variety of females. Fabian from Remyline Kennels set a price of $2500.00 for the stud fee. After that the American Bully World took notice and lined up for the chance to have Remy sire a litter in the hopes of creating another Remy. Thus Remyline Kennels was born, and made a huge impact on this new breed known as American Bullies. Today, a half a dozen years later, many kennels are still lining up to have a chance to add Remy line blood to their profile. In a period of just a few short years Remy has become one of the most prolific bred Pitbulls in history with over a thousand registered offspring. Those who are fortunate enough to have Remy in their pedigree proudly identify with the Remyline name. 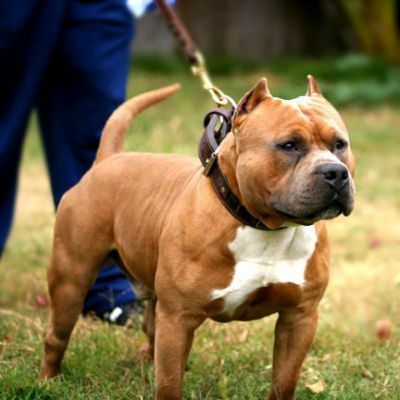 Unlike Dave Wilson who used a number of different Pit Bulls in which to develop the Razor’s Edge bloodline, Fabian used just one dog to create Remyline. This gives this bloodline a very consistent look and temperament. Where as Razors Edge dogs have a variety of looks and temperaments. Many breeders have tried to imitate Fabian line of dogs and success, reasoning that if he could do it with Remyline they could accomplish the same thing with their dog. What they failed to realize is, in order to create another Remyline you will need two specific elements. Those elements are the right dog, right marketing. Many American Bully breeders found the path to fame and fortune to be much tougher than they realized. I would like to purchase a puppy!